Asus has introduced the new ZenBook 13, ZenBook Flip 14, ROG G703, X507, Vivo AiO V272 and Vivo AiO V222 range of Windows 10 laptops and all-in-one PCs at CES 2018.The company has also showcased the ASUS Windows Mixed Reality Headset. Asus ZenBook 13 2018 powered by the 8th Generation Intel Core i7 processor. It has up to 16GB of RAM and 1TB PCIe SSD. The ultra-thin laptop also comes with Harman Kardon audio system delivers powerful immersive sound. It runs on Windows 10 and has support for Windows Hello, Modern Standby, and Cortana digital assistant. It weighs just 985 grams. Asus ZenBook Flip 14 is an ultra-slim 2-in-1 laptop that sports 14-inches. It is powered by the 8th Generation Intel Core i7 quad-core processor with up to NVIDIA GeForce MX150 graphics, 16GB RAM, 512GB PCIe x4 SSD. The company claims that it will offer up to 13 hours on a single charge. 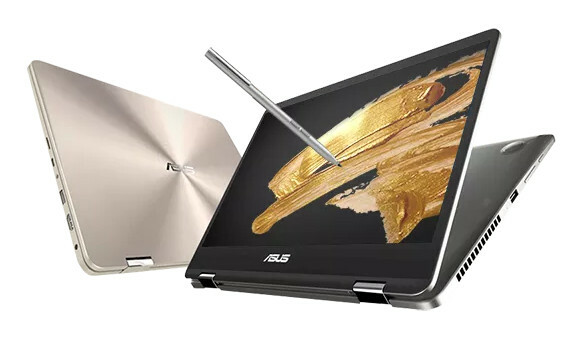 It also has support for the ASUS Pen active stylus. 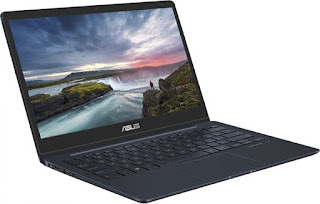 Asus X507 features a 15.6-inch Full HD slim-bezel NanoEdge display that is powered by the 7th Generation Intel Core i7 processor with NVIDIA GeForce MX110 graphics. It is powered by the Windows 10 and weighs just 1.68kg. It comes with 256GB SSD storage with a large 1TB HDD, dual-band 802.11ac Wi-Fi. Vivo AiO V272 and Vivo AiO V222 are all-in-one PC sports 27-inch and 22-inches multitouch Full HD display with 178˚ wide-angle view. It is powered by the 8th Generation Intel Core i7 processor and NVIDIA GeForce MX150 graphics for uncompromising performance. The PC also features ASUS SonicMaster audio system and the ZenAnywhere app gives users remote access and turns Vivo AiO V272 into a personal cloud storage center. It runs on Windows 10. Asus ROG G703 gaming laptop sports a 17.3-inch IPS-level display with NVIDIA G-SYNC technology with 144Hz. It is powered by the Intel Core i7-7820HK processor with clock speed of 4.3GHz and NVIDIA GeForce GTX 1080 graphics. It runs on Windows 10 and comes with Xbox app, DirectX12 and can connect up to 8 wireless Xbox One controllers. The laptop comes with Xbox, ROG Aura, ROG Gaming Center and XSplit Gamecaster dedicated hotkeys. ASUS Windows Mixed Reality Headset and unlike other headsets, this doesn’t need any external sensors. The headset supports over 20,000 Windows apps and more than 2,000 Steam VR titles and is also compatible with a wide range of affordable PCs. Asus Zenbook 13 will be available in first-half of 2018 and the pricing will be announced at launch. The ZenBook Flip 14 will be available in March 2018 starting at $899. The ASUS X507, Vivo AiO V272, and Vivo AiO V222 will be available in first-half of 2018 and the pricing will be announced at launch. Finally, the ASUS Windows Mixed Reality Headset will be available in the U.S. in Q1 2018 and the pricing will be revealed later.